​There are many key parameters for coating an aircraft, none more important than dry film thickness and overall coating weight. 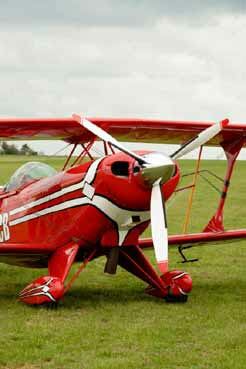 Excessive paint on a plane leads to extra weight and higher fuel costs. In order to overcome this concern, pigments are chosen that are high in hiding power (or opacity) while maintaining superior durability. BASF’s HPP products for aerospace provide the utmost in performance and value while covering the key color areas. 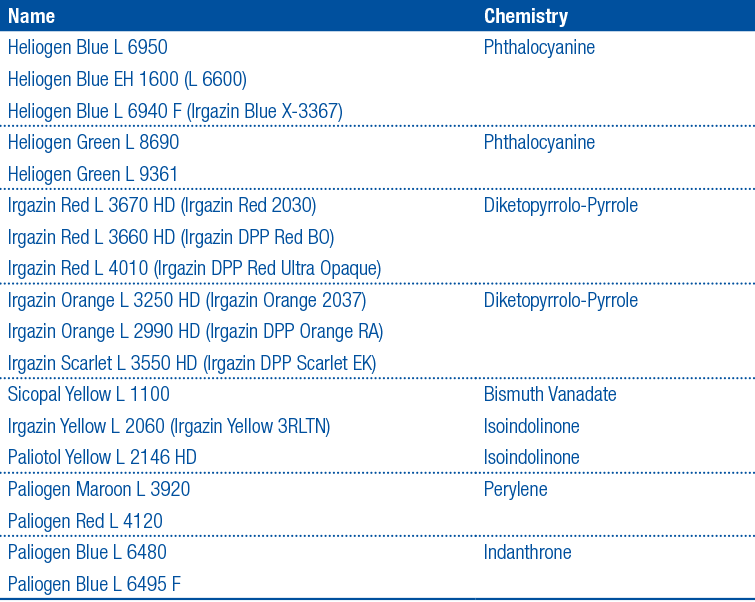 BASF has the most comprehensive pigment portfolio of organic, inorganic and hybrid pigments but also effect pigments, pigment preparations and dyes. 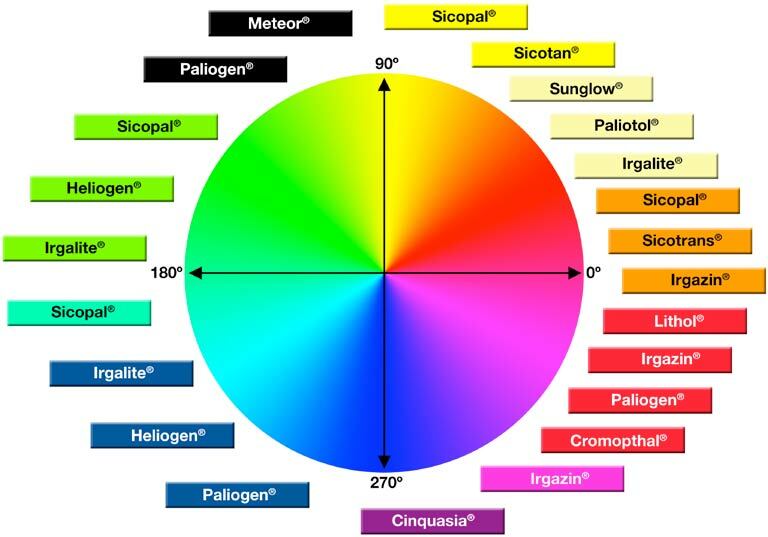 By following BASF‘s Color Wheel, our customers can quickly and easily identify the color space of our wide range of HPPs.